Lemon Meringue Ice Cream Loaf | sweet ravioli! Another lemon recipe to add to my growing repertoire . . . I stumbled across this one on Pinterest and it looked easy to replicate. 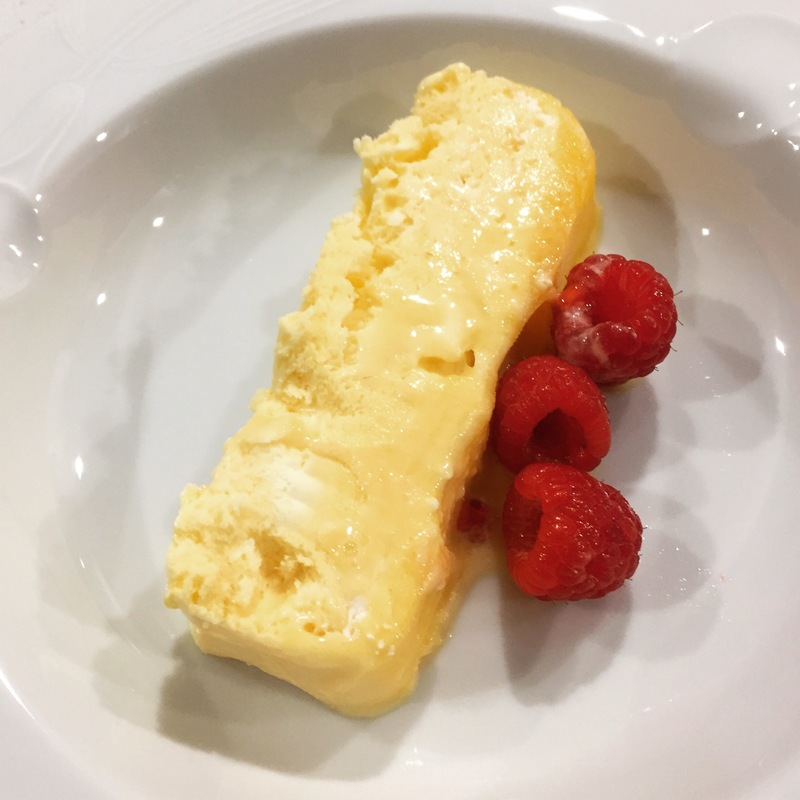 I needed a dessert for a dinner party and thought this would make a nice palate cleanser after a hearty lasagne, and seemed much easier than making a lemon meringue pie! I’ve never made ice cream before, or had much experience with making custard. This recipe involves whipping eggs over a bain marie (simmering water), which scared me a little but I was up for the challenge and, which reminded me that I’d done it before when making lemon curd. This ice cream is delicious if you love lemon desserts. Its creamy and refreshing and has inspired me to try more ice cream recipes. I had considered buying an ice cream maker but if I can manage this no-churn version who needs one? You can use store bought meringues here but considering you’ll have three leftover egg whites you may as well make your own. There are heaps of recipes on the web. Dissolve the caster sugar and lemon juice in a small saucepan over low heat. When the sugar’s dissolved let simmer for 6 to 7 minutes or until the syrup thickens slightly. Set aside to cool. Line a loaf pan with plastic wrap. Scatter the meringues into the bottom of the pan, being careful not to crush them. Fill a medium saucepan with about a cup or so of water and bring to a simmer. Place eggs, extra yolks and the extra 1/2 cup of caster sugar in a medium glass bowl and then sit it over the saucepan of water. Whisk for 5 minutes or until the mixture expands and becomes frothy. Remove the glass bowl from the heat and whisk until thick and pale. You can do this by hand with a whisk (I did) or you can use an electric beater. Fold through the lemon syrup. In a separate bowl beat the cream until soft peaks form. Add in the lemon rind and lemon egg mixture and fold through until combined. Pour this mixture into the loaf pan over the top of the meringues. Cover with foil and freeze overnight. 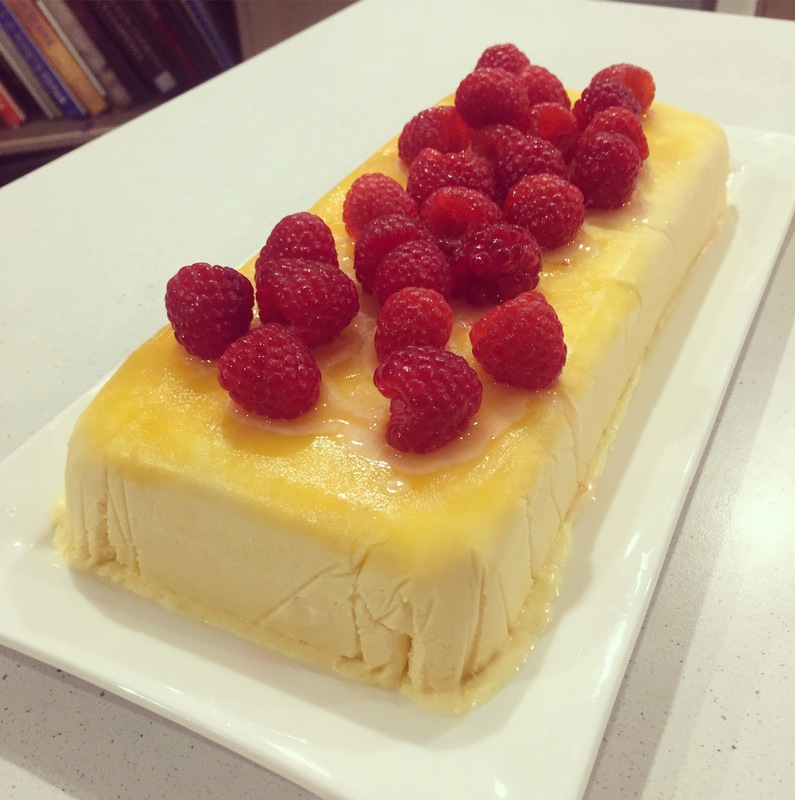 When ready to serve, pop out onto a long plate and decorate with fresh raspberries. Eat straight away before it melts!